Found in or near Haarlem (don't remember exactly where) 2€ 2007 EU presidency special. 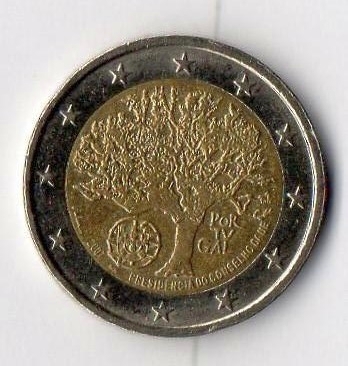 I found Irish commemorative 2 euro coin, the theme is "Treaty of Rome". Found 50 cents 2007 J. Is it a normal mint / year for general circulation ? Or the coin come form a set ? Briard wrote: Found 50 cents 2007 J. Is it a normal mint / year for general circulation ? Or the coin come form a set ? I am not an expert, but as I am living in Germany, and I haven't seen any 50 cent coins with mintage years higher than 2004 (2002 and 2004 are very common), I would say that the coin was not given out in Germany, so it could be a collector's edition . Thanks for your response; the coin is similar to another one of 2002 (not like BU); I thing it running for a moment, coin is not shiny and quite used. Yes, it's the 1st 50 with new Europa map that I have seen. But Germany is used to mint some surpluses (I don't know why, probably to make sure that they have enough coins to fill the sets), so that's the reason why you sometimes find these coins in circulation. The only 50c-coins which are minted in high quantities (for circulation) are 2002 (A D F G J), 2003 (D J) and 2004 (A F G). i'm always happy to find this TOR coin "Pactum Romanum Quinquagenarium"
Thanks to my dad ! €2 : normal coin + ΣΥΝΘΗΚΗ ΤΗΣ ΡΩΜΗΣ - 50 XPONIA / Rome Treaty - 50 years ! Last edited by romain17 on Tue Nov 15, 2016 1:16 pm, edited 10 times in total.